SANTA FE – An emergency salvage order allowing the public to harvest an unlimited amount of fish by any means from the Santa Fe River within the city limits from July 1 through July 3 has been issued. The salvage order was requested by the city of Santa Fe as water flowing into the riverbed from upstream reservoirs will be insufficient to sustain fish. The salvage order will allow anglers to remove trout from the Santa Fe River before it runs dry. The department had stocked hundreds of trout in the river for a June 17 children’s fishing derby. Anglers caught most of those fish, but some may remain in the river especially between Camino Cabra and Camino Alire. Tackle regulations will be suspended during the salvage period that begins at 12:01 a.m. July 1 through 11:59 p.m. July 3. Fish can be removed from the river using nets or by other means. Anglers ages 12 and older are required to have a state fishing license. 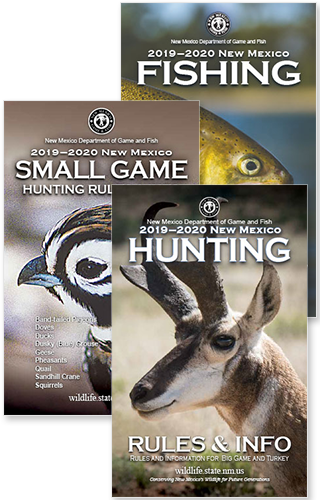 For more information visit www.wildlife.state.nm.us.